Do you have a boy who loves his Remote Controlled Cars? Road Rippers has two that are so much fun! New from Road Rippers, the industry leading maker of action packed lights and sounds cars and trucks comes the Ford Mustang Blaze Craze R/C .Unleash a blazing light show. Blaze Craze R/C has the coolest spinning light show visible through its translucent body with the added fun of full-function R/C control. There are two ways to play, for double the fun. Use the controller for radio control driving, or press the buttons for traditional lights and sound motorized driving. The Road Rippers Preschool Bubble Driver Ice Cream Truck. It’s bubble blowing fun. Use the easy to operate controller to drive the ice cream truck forward and watch it blow bubbles, bubbles bubbles. 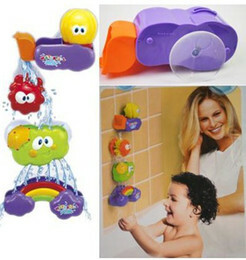 Or just push the buttons for traditional motorized lights and sounds play and of course, bubbles. The light up ice cream cone spins and plays classic ice cream truck music. Bubble solution is included. Be sure to visit Our Ordinary Life to see what they think of it!